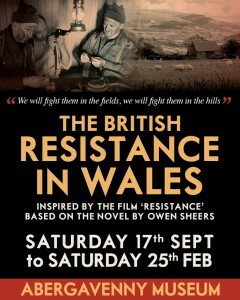 Abergavenny Museum have produced a 16 page booklet to accompany their exhibition on ‘The British Resistance In Wales’. Reading the booklet is a good way to learn the basics about the Auxiliary units and understand more about the Welsh resistance. A PDF (electronic version) of the booklet can now be purchased for £2 here. £1 of this goes directly back to the museum which is a charity. Once you have bought the booklet using Paypal or any credit or debit card, you will automatically be re-directed to a page where the PDF can be downloaded.